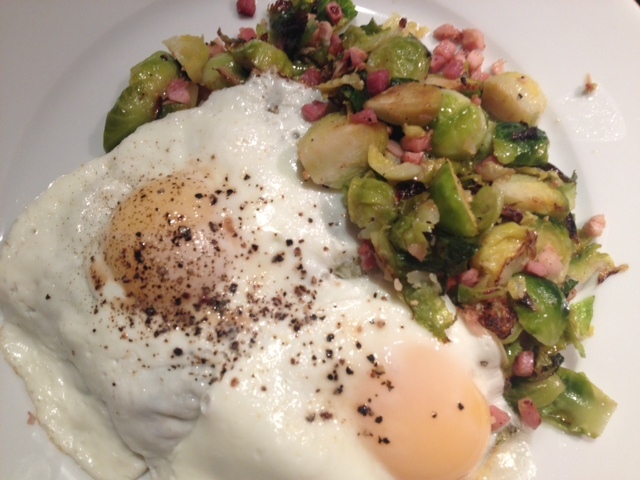 Pancetta & Garlic Roasted Brussels Sprouts & Eggs Over-Easy. 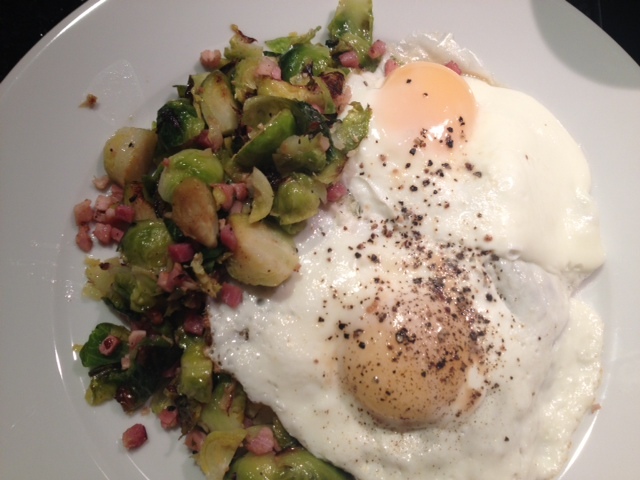 Can you tell that I love brussels sprouts? 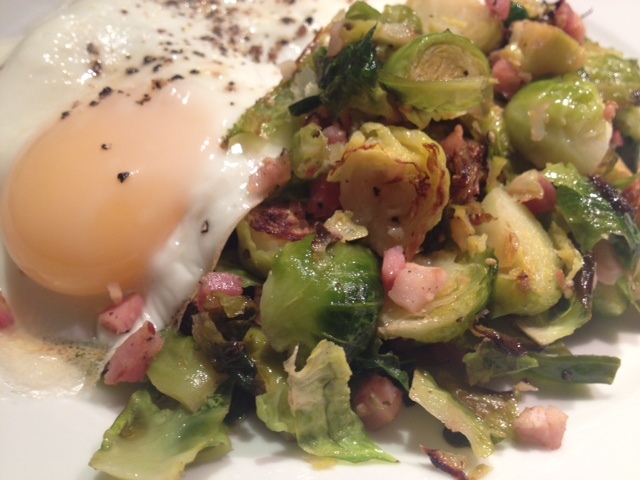 At first glance, this dish may seem like an odd combination, but the eggs, pancetta and brussels sprouts work perfectly together to create a delicious meal. Whether you eat it for breakfast, lunch or dinner—this will be a favorite. Begin by trimming and cutting the sprouts. Cut off the bottoms of the sprouts and then cut them into quarters lengthwise. 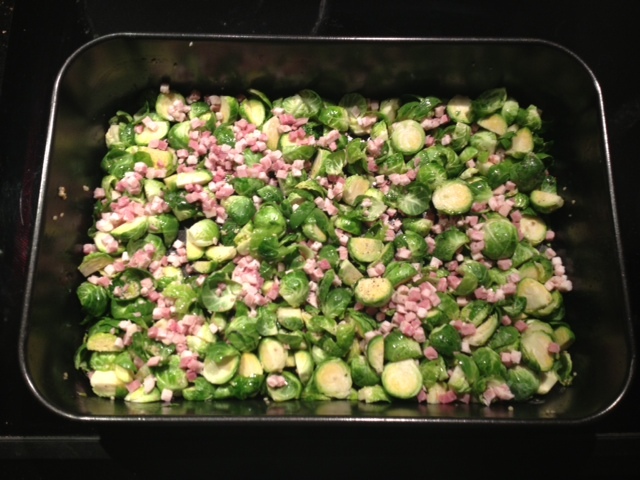 Put the sprouts, along with any sprout leaves that have fallen off, into a large roasting pan and sprinkle the diced pancetta on top. Add the olive oil, chopped garlic, garlic and a dash of garlic salt/black pepper and toss well to combine. Bake in a 400 degree oven for 40 minutes or until the brussels sprouts are lightly browned. 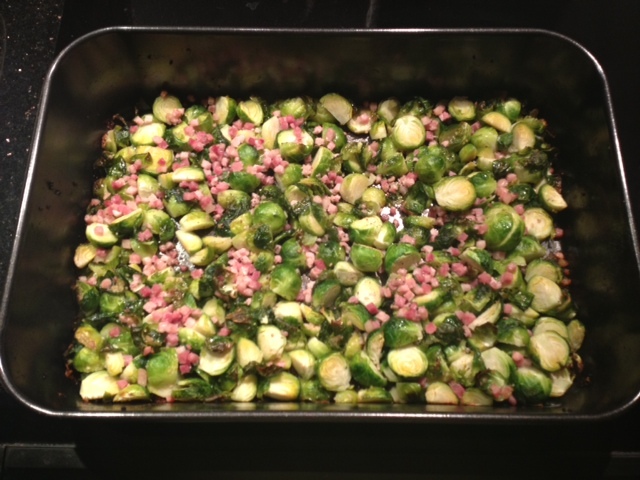 Right before the brussels sprouts come out of the oven, spray some cooking spray on a non-stick pan on medium heat. 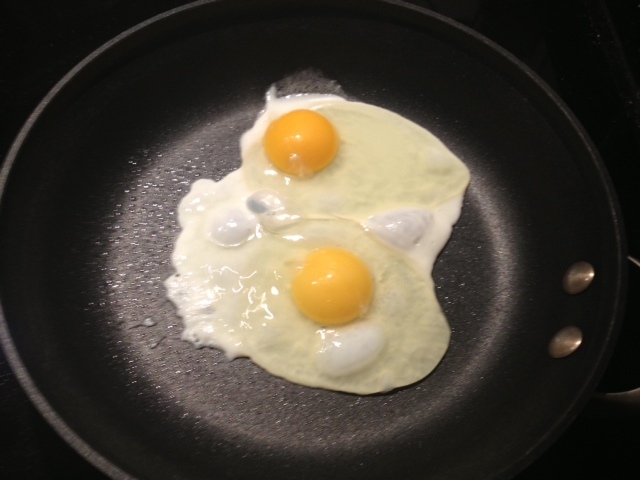 Once the pan is hot, crack open 2 eggs into the pan. Cook the eggs for about 3-4 minutes, without flipping them, and once they start to bubble up a bit, put the lid on for about 2-3 more minutes and turn the heat down to low. This will allow the runny egg on top to harden a bit, while still allowing the yolks to remain soft. 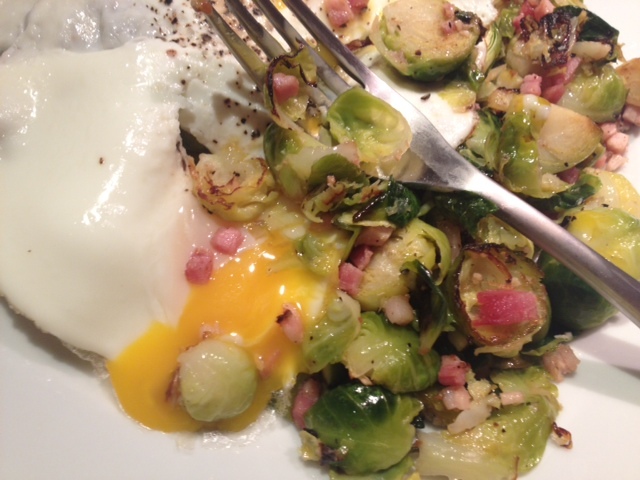 Plate the brussels sprouts, putting the eggs over top with a sprinkle of black pepper. ← Hot & Sweet Honey-Lime Shrimp.